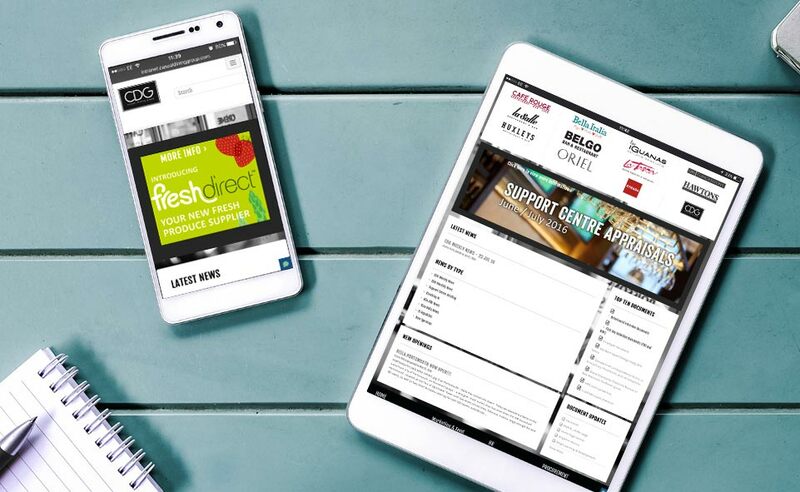 Using the latest ~Intranet technologies, we have updated and re-launched a beautiful new Intranet for the Casual Dining Group. Baring in mind the numerous brands that are using the site and the masses of data the coordination and organisation of the site has been critical in its new look. “We have been using Octane’s intranet product since 2014. As well as providing a fast and efficient platform for internal communications, documents and company information, it acts as our address book in a business with 10 brands and numerous and ever changing locations. Octane have recently upgraded the platform to make it even faster and fully mobile adaptive, with a brand refresh to help pull our disparate stable of brands together into a cohesive hub. Octane deliver technology and engagement with equal passion and unrivalled service”.